We have been infatuated with rose gold since it was first spotted on the runway in Spring 2012 and the luxe shade has grown over the years to become the nations biggest obsession. The metallic hue has graced everything from phones to homeware to even hair and it’s only fitting that make up brands have embraced the obsession too. 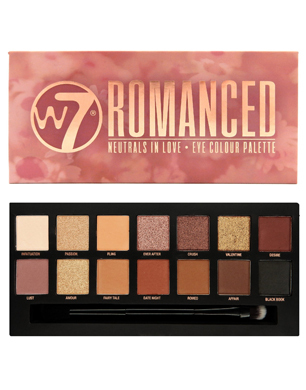 W7 recently launched their Romanced Palette featuring a combination of peachy, natural tones with splashes of pink and gold, has anyone else fallen in love already or is it just me? The 14 shades are high in pigmentation and blendable providing the ability to create soft, natural looks. The finishes and textures vary within the palette with shades ranging from metallic glitters to creamy matte shades. The blush petal packaging evoked a true feeling of romance with the rose gold lettering accentuating that opulent touch. 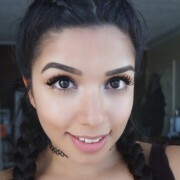 The W7 Cosmetics Romanced Eye Colour Palette is available for £9.95 at www.w7cosmetics.co.uk.